250: I am all over the place this month…. ….now that is just pretty normal here around the house and studio….but there have been at least 3 Blue Nickel sitings in the last couple weeks…and I have been neglect to tell you all about them… PLEASE forgive me!! I did know about two of them, and they have been out for awhile …but the third one I just found out about, and it actually has me the most excited, because it is a surprise to me even!! Let’s go backwards and start with what I just discovered and was blessed by Mab to find out about. My Folk Garden quilt is in Woman’s Day this month!! 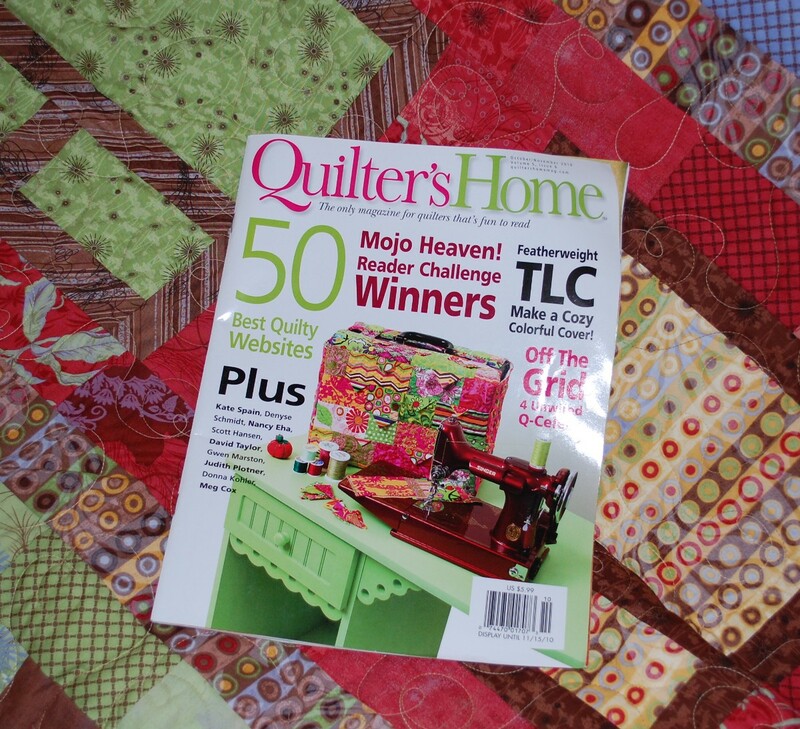 in this article about decorating with quilts…. I really can’t tell you how excited about this discovery I am. Of course, this would be the one quilt I did for Free Spirit that never got published. Soooooo…. Now re-writing this pattern for publication has jumped to the top of my need to do list. 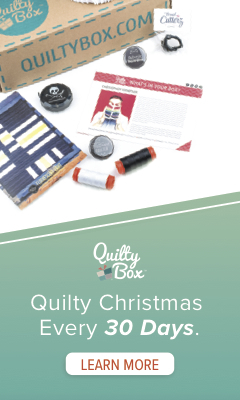 I have about 4 (at least) patterns that I want to get out into quilt shops this winter….and I guess this better be one of them. 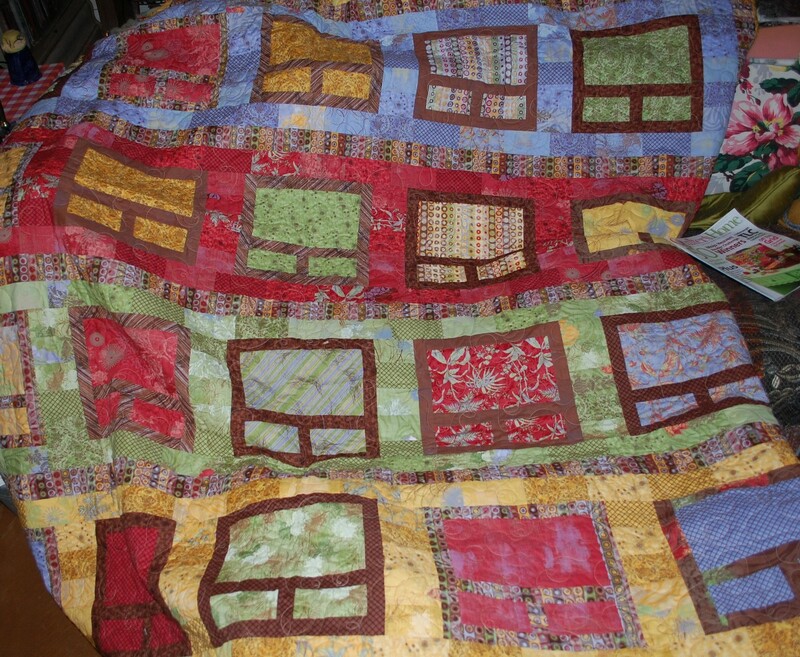 This is the same quilt that went to France without me…the busy little Blue Nickel Ambassador that it is…. 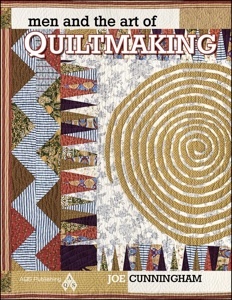 Next up is this book that features 30 male quilt artists compiled and written by Joe Cunningham. I am one of these artists!! Joe did the interview for this on the phone with me back in May 2009, that’s how long books take to write!! I have some copies coming here to the Blue Nickel to sell if you are interested in purchasing. If you would like, I could even sign the page with my bio on it. It was great to be part of this book. It has some great short stories about these guys’ lives in it. 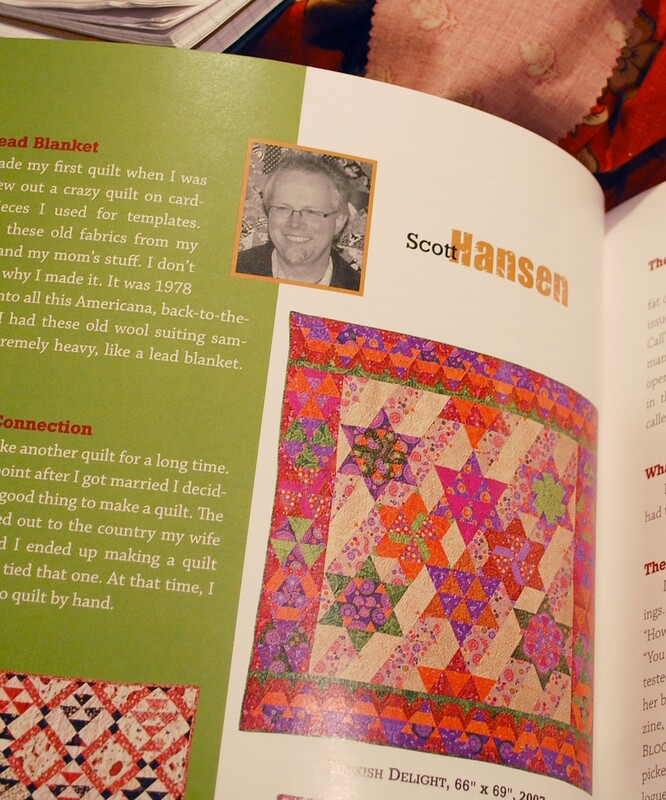 There are just 9 quilt patterns in the book and my Basket Case No. 1 is one of them. It is a very traditional quilt, particularly in the colors I used…..and maybe something you might be surprised at if you are a regular visitor here at the Blue Nickel, but that is definitely a part of my quilting life….. I’m a little bit country….and a little bit rock and roll. 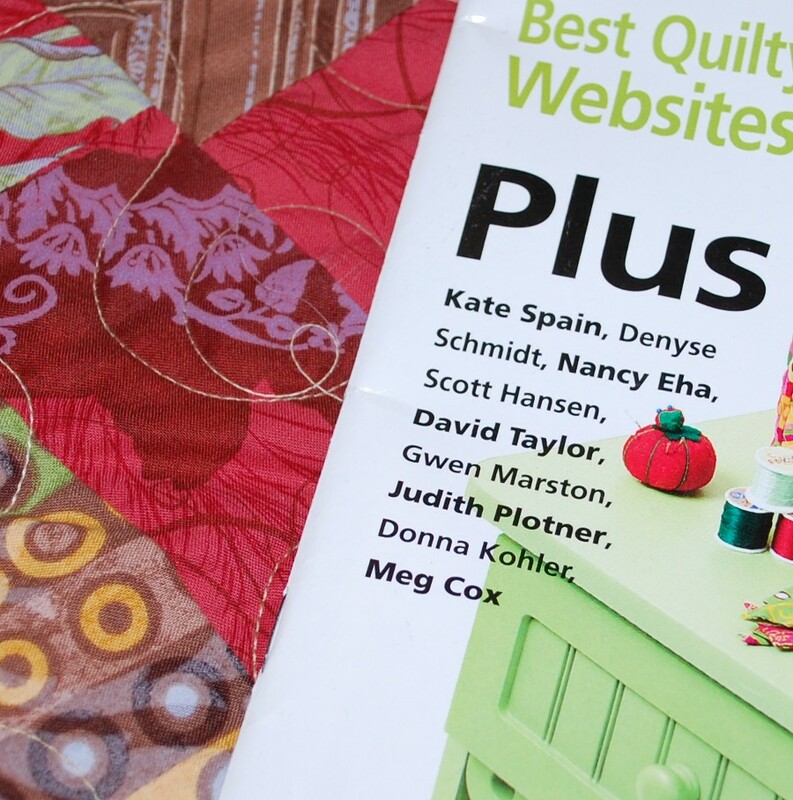 There are a lot of other great quilts, patterns, and inspiration in these pages as well. hmm…think this was inspired by anything?? … could be …..or could be I didn’t want to wind up the hoses and put them away for winter…..or could be I really hated how the lawn looks where the kids’ pool sat all summer….or could (and probably was) be a combination of them all!! Can you believe whose name is listed on the cover with all of these all stars?? I could … simply…not….!! Well that ‘s it for now peeps…I am tuckered out…this post took me close to all evening to do, and I had planned on sewing tonight….so I hope you enjoyed this little spiel of mine….thanks for coming alongside me here at the Blue Nickel! congratulations on all the great features with your fantastic work! i’ll have to zip out today and pick up a copy of Woman’s Day 🙂 i loved your Building 312 design in QH, too. quite honestly, to be included among such an amazing group of creative people like YOU is more than this newbie can fathom! pinch pinch pinch. thanks for trading your sewing night to spiel a little..i enjoyed reading it for sure! YAY YAY YAY you!! Congrats with all that beauty you have put out into the world!! Congratulations times 3! That is so exciting! ps. Thankyou to Charlie as I discovered your blog today via his and I can’t believe I haven’t been here before! Congratulations Scott. I can’t imagine the excitement and joy you are feeling over this. Well deserved, your work should be published. Howie told me about this and I’m so excited for you! What a terrific blog and I look forward to nosing around on your site. I’m proud of you and Linda (love her blog too! hope she’s feeling better soon) for pursuing what you love. I hope some day I can do something similar with my vegetarian/vegan recipes, which is my only creative outlet these days…I’ll never forget how touched we were when you made our baby (um, yeah, he’s 9 now!!) 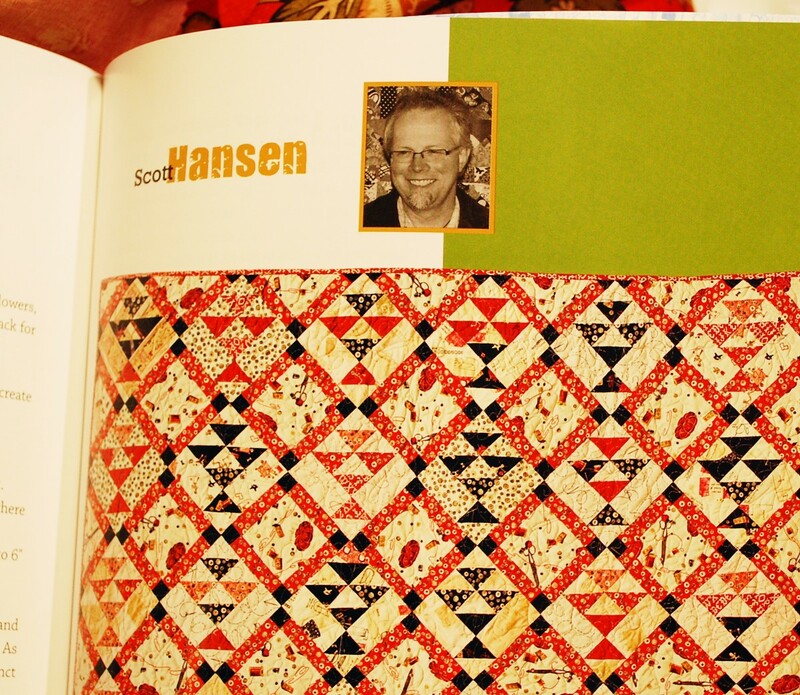 such an amazing, personalized quilt. You are very talented and I’m glad you share that with the rest of us, especially someone like me who can’t sew on a button without a lot of swearing and crying. Indeed congratulations are in order! How wonderful! A star among the stars…gotta get use to that now my man. 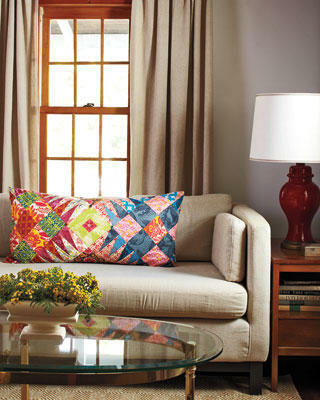 I’m loving that quilt of yours in Quilter’s Home. Try to Keep your feet on the ground these next few days….hey! 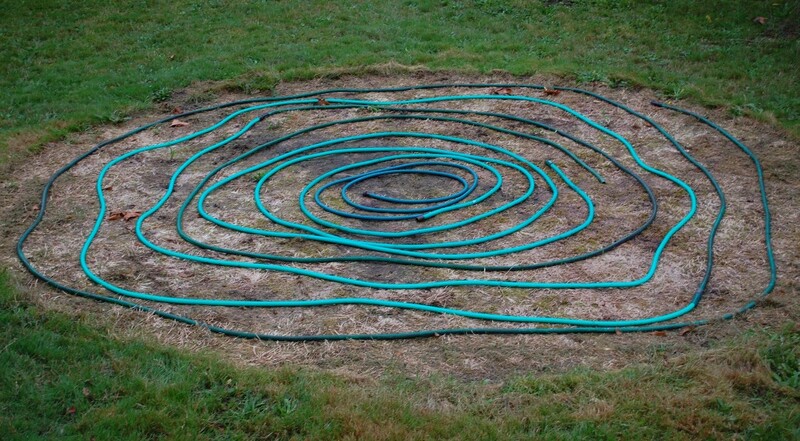 Maybe that was a ‘crop circle’ with the hose??? Congratulations on the recent press and publications. It is natural to be excited when so many good things occur at one time. Thank you for providing prizes in Charlie’s GO! giveaway. Such great press Scott! Congratulations…wish I was going to see you in Houston. Oh I wish I could be at Houston and hang out with you and everyone else as well!! Can you come to Salt Lake next spring? That is so much closer for me and Spring is always the better time of year as well! Congratulations!! 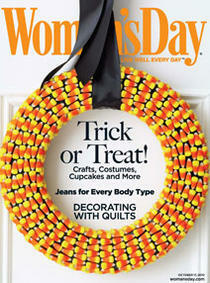 I saw your work at Quilters Home, now I’ll have to find the other magazines. I love your work. thanks so much Patty!! It is delight to me that others enjoy what I do! wowza!! that is fantastic!! I am so happy for you – very well deserved recognitiion!